Susan Boland is the Associate Director of Public & Research Services for the University of Cincinnati Robert. S. Marx Law Library. She teaches legal research and offers reference and research support services to all law library users. Prior to joining the law library faculty, she was the Head of Information Services for the Ruth Lilly Law Library at the Robert H. McKinney School of Law and the Research & Instructional Services librarian at Northern Illinois University College of Law. She has also held positions at a public library and community college library and served as a judicial clerk for the Iowa District Court for the Fifth Judicial District. 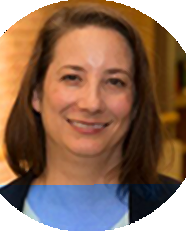 She is a member of various professional associations both regionally and nationally, and was Chair of the Computing Services Special Interest Section of the American Association of Law Libraries and President of the Mid-America Association of Law Libraries. She has presented at regional and national conferences, as well as at continuing legal education programs. Her publications include annotated bibliographies on the death penalty and election law, as well as articles on legal research, technology, and teaching.